I've had this post in draft since July 2011 and with the news that 'Things We Lost In The Fire' is set to appear on the debut BASTILLE album, 'Bad Blood', it seems appropriate to resurrect the piece. We're really excited to welcome the new album and here's an opportunity to hear a very old demo of 'Things We Lost In The Fire'. The demo dates back to Dan Smith's days as a solo artist - a rather long time ago now, seeing as we first wrote about BASTILLE in December 2010. In his solo guise, Dan generally went under his own name or as this demo is attributed to, Daniel In The Den. While you can hear the difference in production between the album version (listen in the YouTube sampler below), the scope and ambition is apparent even in the original demo. Find more info at bastillebastille.com. 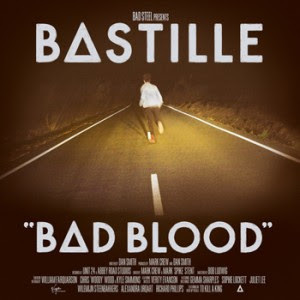 Pre-order 'Bad Blood' at amazon.co.uk, iTunes etc..